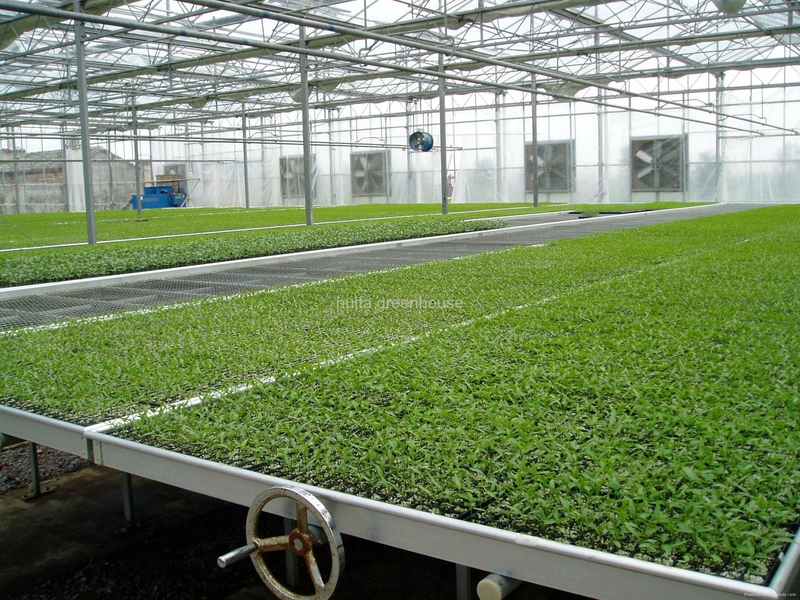 The ebb and flow rolling bench is a kind of cultivated seedbed with a plastic tray.Its frame is made of aluminum alloy.It has anti-deflecting limitdevice toprevent the tilt caused by the problem.It is mainly used in greenhouse.Its main advantage is high yield and high effeciency. 1, manual drive, simple operation, easy to move. 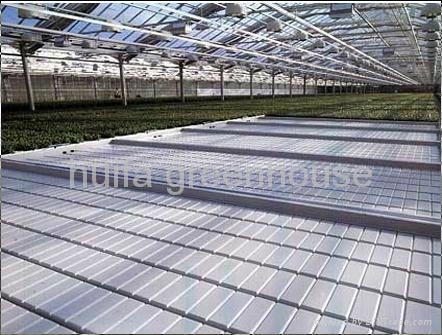 Bed frame for aluminum alloy material, stand part of the steel tube and bed net use hot dip galvanizing process, in the humid environment of long-term use. 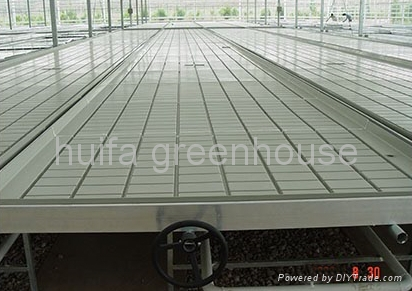 2, can left and right mobile 300mm, can make the use of greenhouse area of about 80%. 3, with a limited anti tipping device, to prevent due to bias caused by tilt.